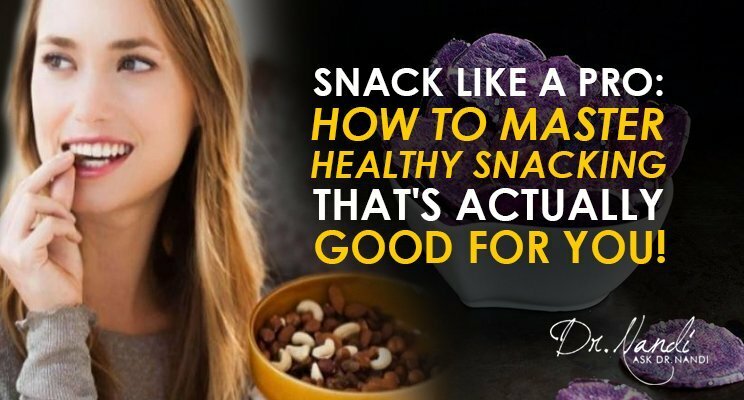 Snack Like A Pro: How to Master Healthy Snacking That’s Actually Good For You! What I told my patient is what I’m about to share with you. They key to snacking like a pro is learning how to make smart food choices and incorporate them into real life, everyday situations (I even wrote a Super Snacks Cookbook!). 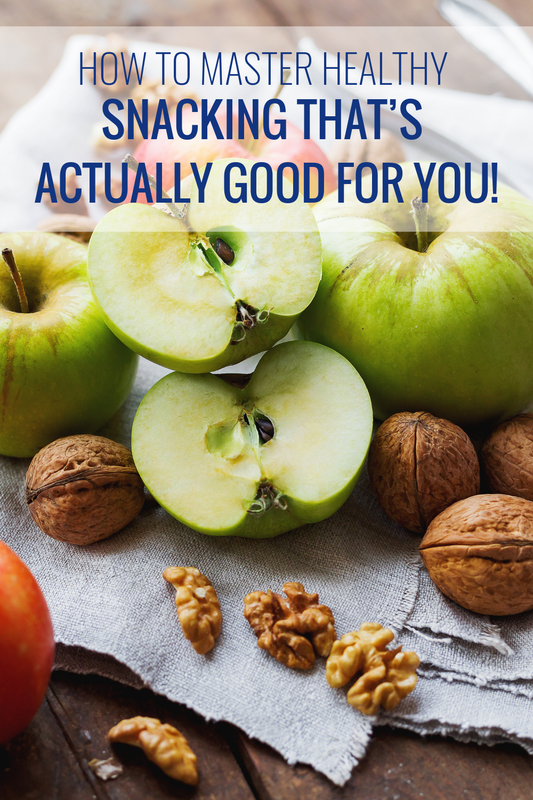 This is what I want you to know about the importance, benefits and how-to’s of healthy snacking. Why you should up your game and snack smarter. When it comes to nutrition, the focus tends to be on your meals, but it should be on everything you eat … including snacks. Snacking often gets a bad rap, but what you eat between meals is a crucial part of your diet. On average, about 24% of your daily calories comes from snacks. So choosing healthy options really impacts your overall health and wellness goals. How to implement a healthy snacking strategy. If I were to give you only one piece of advice, it would be this: keep your strategy simple! Eating healthy shouldn’t feel like an overwhelming chore. Making realistic choices that compliment your lifestyle is all you need to do to achieve long-term success. Q. When should I snack? A. Snack between meals (but only when hungry). 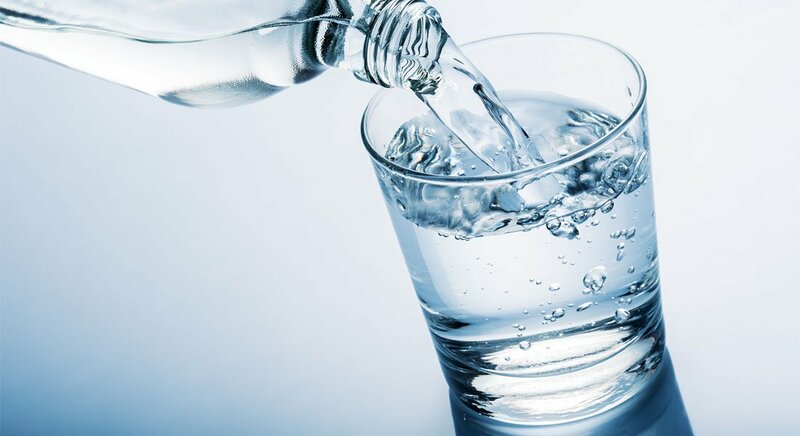 This will help keep your blood sugar even and prevent you from getting super hungry (which is when bad choices happen). Q. How much snacking is too much? A. It’s fun to reach for your favorite snacks, but you have to manage how much you’re eating in addition to what you’re eating. Try to master portion control. Instead of eating until you feel stuffed, stop eating once you feel satisfied. Savor the moment and focus on the delicious flavors and textures. Q. What is mindful eating, and does that apply to snacking? A. Mindful eating applies to everything you eat – meals and snacks. It’s nothing more than thinking before you eat. Get in the habit of asking yourself questions before you snack. Will this nourish me? Am I really hungry, or am I just bored or emotional? 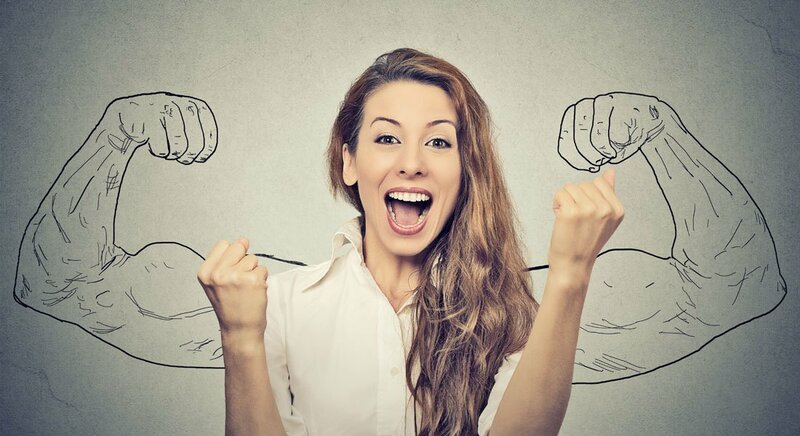 How will I feel afterward (good, energized, sluggish)? If there isn’t a benefit, eat something else. Q. How do I know if I’m doing it right? A. You know by listening to your body. So many people eat unhealthy foods and then feel awful afterwards! They reach for pills or antacids every time they eat, and it doesn’t have to be that way. Bloating, nausea, fatigue, sluggishness … these are all signs that you can be making healthier choices. If that happens, it’s ok! All you have to do is listen to your body and pay attention to the signs. Nourish your body with healthier snacks, and you’ll feel so good after you eat. Q. What are some things I can do to snack smarter? Follow the 80/20 Rule. Eat healthy 80% of the time, and enjoy some of your favorite foods 20% of the time. By not feeling completely deprived, you’ll stick with purposeful healthy eating and honor your commitment to foods that nourish your body and soul. Plan ahead. There’s a saying that goes, “Those who are nutritionally unprepared wind up at the McDonald’s drive-thru.” Ok, that’s not really a saying, but there is truth in it! Stocking up on healthy snacks means you’ll always have something healthy at the ready. You’ll avoid making bad choices that become very tempting when you have nothing else to eat. Take the time to make your own healthy snacks, and you’ll be prepared to make more rational choices that won’t derail your progress. Use snacks to fill nutritional gaps. 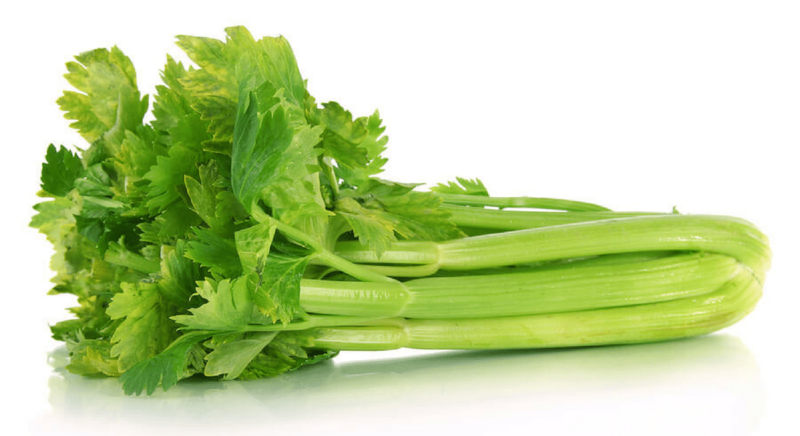 If you typically don’t get enough fruits and veggies, try snacking on celery with a little peanut butter or yogurt with your favorite fruit. 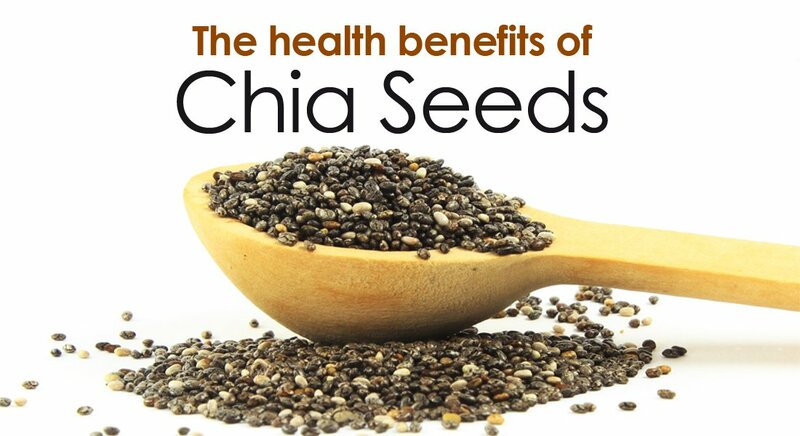 It’s a fun way to get more of the essential vitamins and minerals that you need. Q. So long as my meals are healthy, do my snack choices really matter? A. Absolutely! Healthy snacks provide all of the benefits listed above and round out your overall nutrition – one of the biggest contributors to a long and healthy life! Q. What are some healthy snack options? Vegan Buffalo Cauliflower Wings. The perfect snack for Super Bowl Sunday! The recipe includes my very own Dr. Nandi’s Ranch Dressing (because you don’t want to take your healthy snacks and drown them in fattening dips!). Coconut Apricot Balls. Delicious, easy to make and perfect for snacking on the go! Seasoned Chestnuts. Ridiculously good and good for you. Chestnuts can increase your energy, improve bone health and fight off damaging free radicals. Are you ready to snack like a pro? I challenge you to take the first step. Make one small change – swap out one processed food snack with one healthy alternative once a week. This small change will have a big impact on your overall health. If you have questions about healthy snacking, please send me an email to share your thoughts. Change the way you snack. 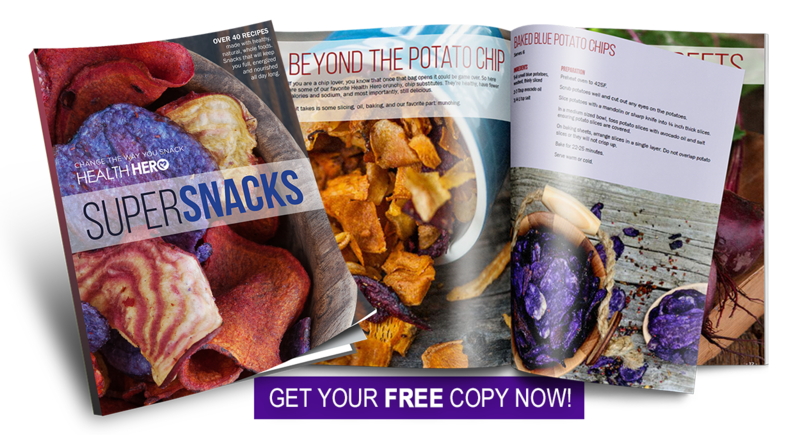 If you’ve ever gotten stuck when it comes to snack ideas, you need my Super Snacks Cookbook that provides over 40 easy recipes made with the healthiest ingredients and superfoods to support your health and wellness goals. Be mindful. Think about how you choose to nourish yourself. Make informed choices. Nourish your body with healthy snacks every day! Keep it simple. Health Heroes know that keeping things simple is the best way to achieve long-term success. Stick with healthy snacks that are easy to make and pack a nutritional punch, and you’ll be snacking like a pro in no time!